Delegates Defy Democrats In DNC Disaster As Hillary Clinton "Feels The Bern"
Democratic officials were so worried about the planned protests outside the Wells Fargo Center in Philadelphia, and how demonstrators may disrupt the proceedings leading up to Hillary Clinton's coronation as the Democratic nominee for president, they built a 4-mile wide, 8-foot tall wall to keep protesters out, but it was all for naught as the Bernie Sanders supporting delegates inside the arena turned the first day of the Democratic convention into a major disaster. Sanders' supporters have been vocal and loyal since the beginning of the primary season, but anger has now reached a fevered pitch after WikiLeaks released nearly 20,000 leaked emails from DNC officials showing the DNC actively worked with and for Hillary Clinton and against Bernie Sanders. Validity of those leaked emails comes from the DNC offering an official apology to Sanders and his supporters for the "inexcusable remarks" contained within the emails. DNC Chair Debbie Wasserman-Schultz resigned her position in an attempt to appease Sanders' supporters, to be effective at the end of the Democratic convention, giving up her major speaking slot, but allowed to gavel in and out the event, but any goodwill that might have bought the Democratic party was negated as Hillary Clinton sent an email to her supporters informing them Wasserman-Schultz would be integrated into her campaign, which many see as "payment rendered" for services received (rigging the primary in Hillary's favor). There is an expression "start as you mean to go on" and Bernie supporting delegates did just that as the earliest reports of what would be a day of disaster for the Democratic convention and Hillary Clinton, showed that Disgraced Debbie was booed off the stage as she was addressing the Florida Delegates at breakfast, with U.S. News and World Report saying she was heckled, booed, and had to be escorted off the stage by security. Debbie Wasserman Schultz, the embattled outgoing chair of the Democratic National Committee, was forcibly driven out of her own state delegation's breakfast Monday amid vocal and unwieldy protests by Bernie Sanders' supporters. That scenario played out through the day, showing it isn't just Wasserman-Schultz that the delegates were protesting, but it was Hillary Clinton herself, as other speakers, such as House minority leader Nancy Pelosi, Rep. Michael M. Honda and Barbara Lee were loudly booed when speaking of "uniting" the party. Members of the delegation repeatedly disrupted the lineup of speakers, including House Minority Leader Nancy Pelosi, with protestations against Clinton and cheers for her erstwhile primary rival, Vermont Sen. Bernie Sanders. [...] But whenever a speaker talked about uniting to elect Clinton in November, the crowd balked. They booed Rep. Michael M. Honda. And chanted, “Bernie, Bernie, Bernie!” during Rep. Barbara Lee’s address. 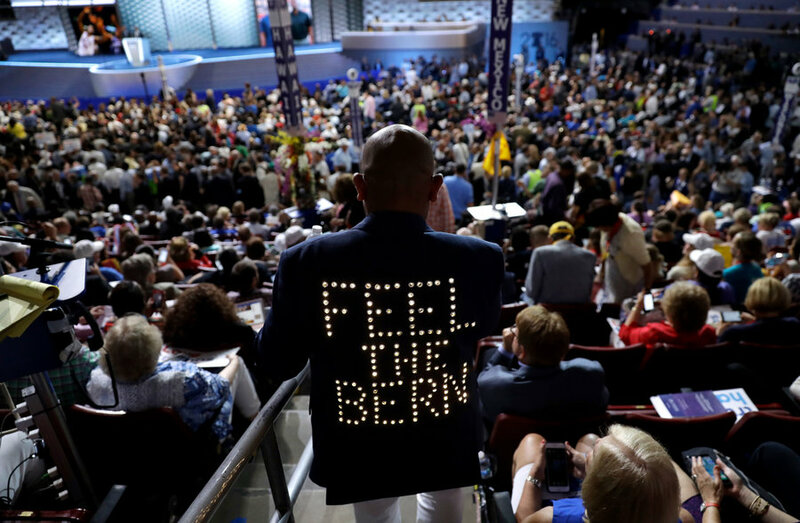 Convention day became so intense that Sanders actually sent out a text message to leaders of his delegation pleading with them not to protest on the Convention floor, to no avail as Bernie supporters, feeling so betrayed, not only by the Democratic party, but by Sanders himself by uniting behind Clinton even after the WikiLeaks bombshell, booed Sanders when he spoke of electing Hillary Clinton. The tumult began before the convention opened, as Sanders drew jeers from his own delegates when he urged them to back the White House bid of his former rival, Clinton, and focus on defeating Trump in the Nov. 8 presidential election. 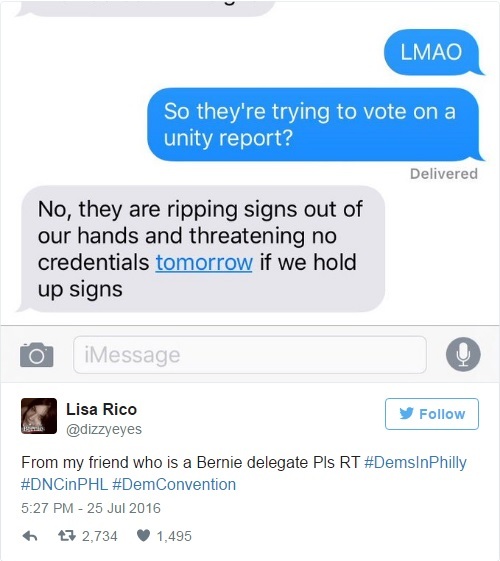 Now Bernie delegates are claiming that DNC officials are "ripping signs out of our hands and threatening no credentials tomorrow if we hold up signs." Image below of a text conversation posted online, via The Daily Caller. 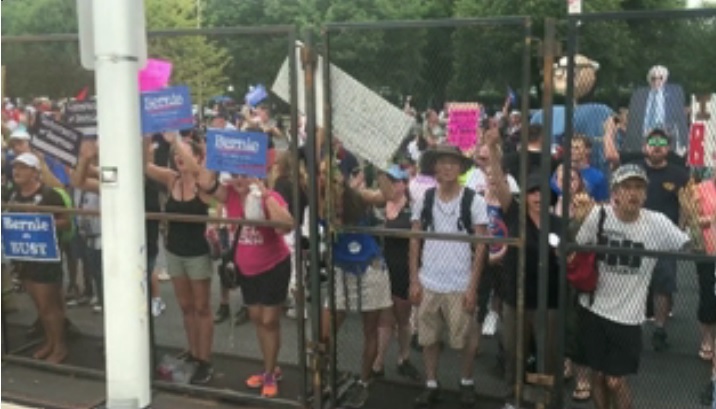 Outside the convention center, protesters were just as vocal, but the image of masses of people, holding Bernie signs through the prism of a large fence surrounding the convention arena, almost appears as if these protesters are fenced in, rather than out. 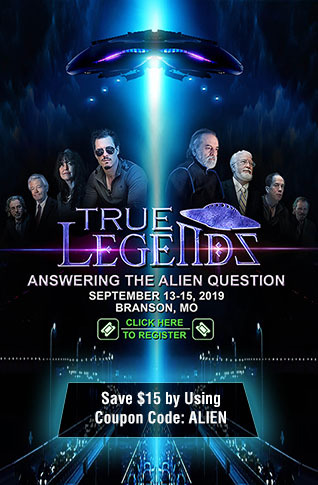 A glimpse of what Hillary 'fun camps' will look like? Well, I mean, that’s interesting. We have seen that with a lot of other publications. I guess there’s a question: What does that mean for the U.S. Democratic Party? It is important for there to be examples of accountability. The resignation was an example of that. Now, of course, Hillary Clinton has tried to immediately produce a counter-example by putting out a statement, within hours, saying that Debbie Wasserman Schultz is a great friend, and she’s incorporating her into her campaign, she’s going to be pushing for her re-election to the Congress. While DNC officials were worried about what would happen by protesters outside the "border wall" they built around the DNC convention center, they underestimated the anger from within, by delegates with credentials to attend. 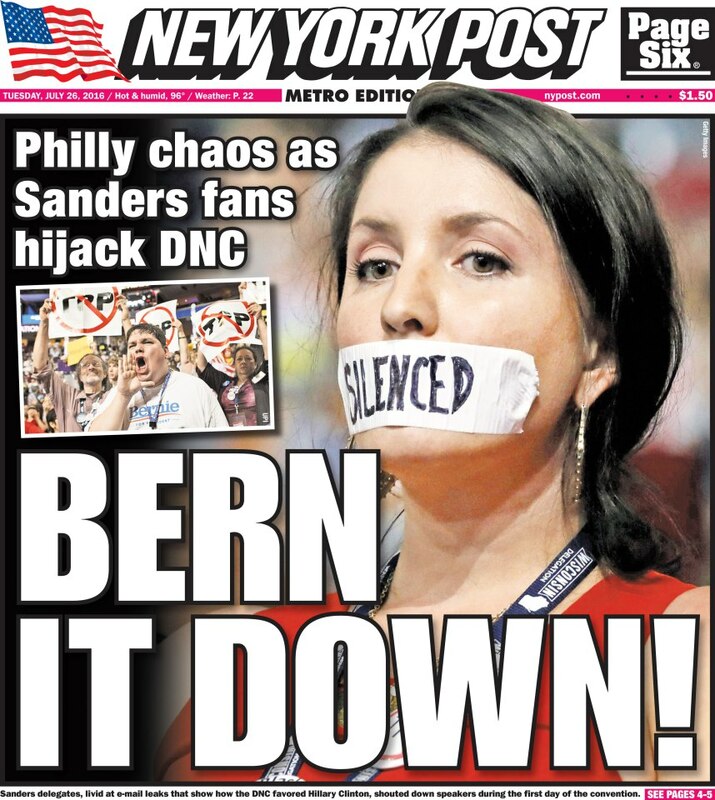 If the threats of taking their credentials away and barring them from the convention are carried out, in order to create the illusion of unity within the Democratic party, we can expect to see the news not from the MSM, but spread across the Internet via social media like a wildfire. The liberal media, pundits and blogs will attempt to spin this news, but this was undoubtedly a disastrous first convention day for Hillary Clinton. I would have paid good money to witness Hillary's reaction as she watched day one unfold and she felt "the Bern."